Forums » General Discussion » Home Theater » Oppo 105, anyone? #384089 - 10/13/12 02:40 PM Oppo 105, anyone? I have a buddy who received his 103 a few weeks ago... 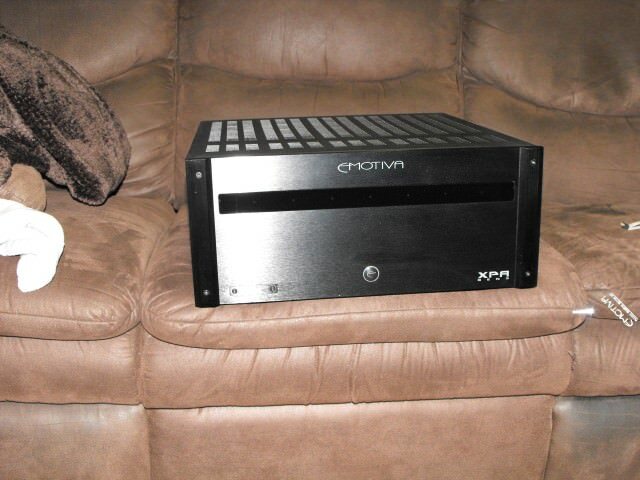 I am now thinking about getting the 105... My same friend recently got a peachtree DAC for his stereo system.... The 105 uses the same saber32 DAC which is similar to the chip that peachtree uses, this is why i bring up the peachtree product.. I am thinking that the hardware is finally catching up to the Software (streaming)..
Is anyone else thinking about getting a 105 or 103? I was thinking about the 103 pretty strongly, but I'm waiting to see what bugs there are. And to scare up the $500. I was going to until Cat brought up all of his problems. Thanks Cat! I am going to stick with my old reliable until I can segue into the feature set I want on a reliable platform. One persons experience is hardly a gauge of a product. I have had my bdp93 for well over a year and never had a disc it would not play. I upgraded the firmware when i first got it and haven't had to upgrade since. It's quiet to the point of having to listen to make sure its really on. Only complaint is the ir is a tad finicky. I have been in touch with oppo and they have a app in the works. Oppo gets 5 stars from me and i am hard to please. I can second that. Although I have had my 93 for only 6 months it has been trouble free. Good enough to recommend to my friends. Still, a 93 is not a 103 (or a 105!). If it was, they wouldn't have released a new one. Same here, had mine for two years now and zero problems.Love it! What model does Catbrat have? There were indeed some issues with the 8x, the 9x was much better, I can only imagine the 10x will be better still. I'm seriously considering the 103. I have a BDP95 that I purchased early last summer and it is a great player. I must admit, aside from the boosted up analog section of the 95 over the 93, vanity overcame me and I purchased the 95 primarily because I liked the "look" of it better. It has been trouble free and Oppos service and regular firmware updates, despite the price, generally substantially increase the shelf life of their products over anyone else. The HDMI "in" capability, among other things, is intriguing to me on these new players and given one can use an external source and utilize the internal video processing of the player, to me, is worth the "price of admission" alone. If this what I think it is I may sell my 95 and replace it with a 105. (Once again vanity may prevail).